Joel Rosario and Accelerate pulled away to win the Breeders&apos; Cup Classic. 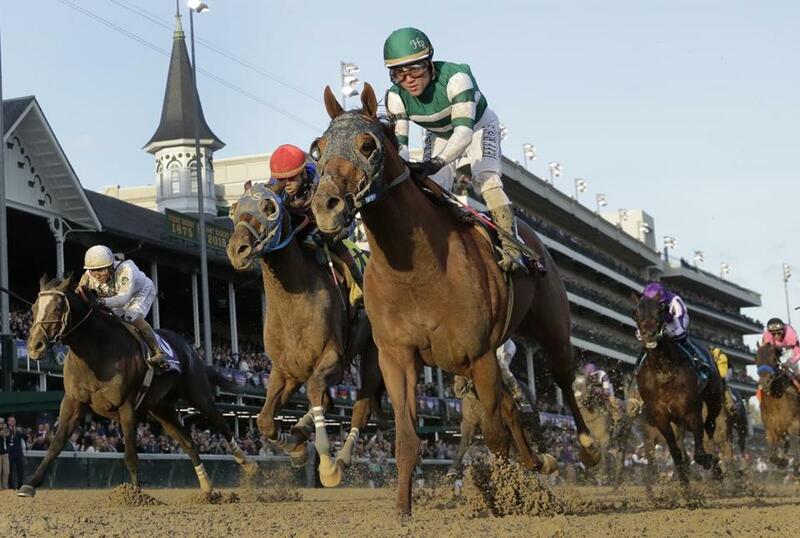 ‘‘To me, he’s the Horse of the Year, no doubt,’’ Sadler said. ‘‘He’s won all those great races. To win the Santa Anita Handicap [in March] was for me probably one or two on my bucket list. Ridden by Joel Rosario, Accelerate covered 1¼ miles in 2:02.93 and paid $7.40, $6, and $4.40. ‘‘He broke really well,’’ Rosario said of Accelerate. ‘‘I was on the outside and had to use him a little bit. I just wanted to get a position because I was way out there. I know I had a long run to the turn but I wanted to be not too wide. Off the board were Hall of Fame trainer Bob Baffert’s duo of West Coast and McKinzie. They finished seventh and 12th, respectively, after being projected to challenge Accelerate in the marquee race of the season-ending championships. Gunnevera, Thunder Snow, and early pace-setter Mendelssohn made things interesting in a wide-open field, an upside to the absence of horse racing’s 13th Triple Crown winner from the Classic. Justify’s ankle issue led Baffert to retire the 3-year-old in July, eliminating the opportunity to follow 2015 Triple Crown winner American Pharoah in pursuit of a rare grand slam. Accelerate claimed his fourth race in a row and answered the question of if he could continue his roll after beating West Coast by 2¼ lengths in the Awesome Again Stakes at Santa Anita. And it followed other notable performances on the second day of the $30 million championships. Peter Miller made Breeders’ Cup history as the first trainer to saddle two repeat winners in the same Breeders’ Cup races. Soon after Stormy Liberal outdueled favorite World of Trouble to retake the Turf Sprint by a neck, 6-year-old Roy H swept past Promises Fulfilled and flew to a 3¼-length win in the Sprint. Jockey Paco Lopez earned his first Breeders’ Cup victory. Enable followed up last month’s Arc de Triomphe victory by winning the $4 million Turf by three-quarters of a length over Magical. The 4-year-old British filly became the first horse to win both prestigious races in the same year. She earned her 10th win from 11 career starts.